New polo from Head Space with double stripe on collar and cuffs and contrasting buttons. Plain design with white HEAD SPACE on shoulder. Sizes up to 3XL. 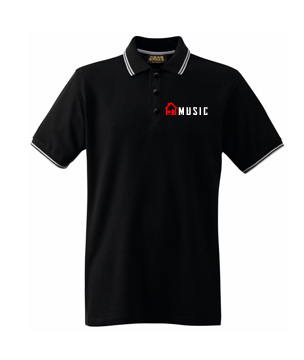 The ever popular House Music polo from Head Space with double stripe on collar and cuffs. House Music logo in red and white on the chest with a white HEAD SPACE on shoulder. Sizes up to 3XL.